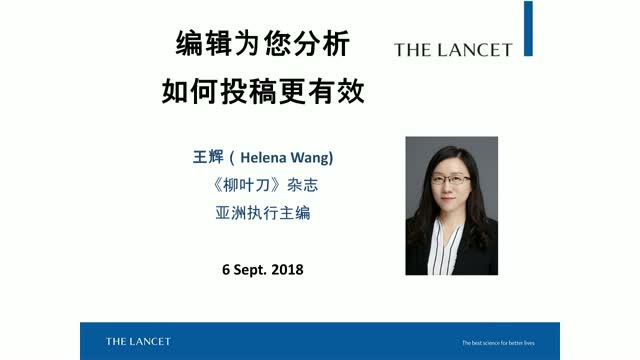 与《柳叶刀》亚洲区执行主编王辉（Helena Wang）女士一起学习在高影响力期刊上发表论文的技巧和策略。王辉女士将分享她在整个研究论文发表周期中与研究人员和论文作者合作的经验，介绍如何撰写能够在优质出版物上发表的论文，以及广泛传播研究成果的机会。本次在线研讨会内容精彩纷呈，不容错过，能够让您的研究过程和研究影响再上新台阶。This webinar will be in Mandarin (Chinese). Join John McConnell, Editor-in-Chief of The Lancet Infectious Diseases to learn about techniques and strategies for authoring in high-impact journals. Mr. McConnell will present his experience working with researchers and authors throughout the research publishing cycle. You will learn how to develop papers for premium publications, and how to broadly disseminate findings. Do not miss this engaging webinar, join and ask any questions that you feel will benefit your research! Dr. Valentin Fuster, M.D., Ph.D.
Join Valentin Fuster, MD, PhD, MACC, editor-in-chief of the Journal of the American College of Cardiology (JACC) to learn techniques and strategies for publishing in high-impact journals. During this engaging webinar intended for new and experienced researchers, Dr. Fuster will share his expertise in working with researchers and authors throughout the research publishing cycle; uncover strategies for developing papers for premium publications; and discuss the opportunities journals present to broadly disseminate findings. Evidence of the potential reach and impact of published research, Dr. Fuster will also present on the recent JACC Cardiovascular Health Promotion Series and how preventing cardiovascular disease is as important as treating it. Don’t miss this engaging webinar and how it can benefit your authoring process and the impact of your research. Dr. Fabiola Rivas, Senior Editor with Immunity, and John McConnell, the Editor-in-Chief of The Lancet Infectious Diseases will present techniques and strategies for authoring in high-impact journals. Dr. Rivas will present information on authoring with Cell Press, which includes such titles as Cell, Neuron, Chem, Immunity, Joule, and Cancer Cell. John McConnell will represent publishing in the Lancet family of journals. The editors will present their experience working with researchers and authors throughout the research publishing cycle, how to develop papers for premium publications, and the opportunity to broadly disseminate findings. Presenters will also talk about regional infectious diseases and most recent findings in fighting these infections. Join Valentin Fuster, MD, PhD, Editor-in-Chief of the Journal of the American College of Cardiology (JACC) to learn about techniques and strategies for publishing in high-impact journals. Dr. Fuster will present information on publishing in JACC Journals, which include JACC, JACC: Cardiovascular Imaging, JACC: Cardiovascular Interventions, JACC: Heart Failure, JACC: Clinical Electrophysiology and JACC: Basic to Translational Science. Dr. Fuster will present his expertise in working with researchers and authors throughout the research publishing cycle, how to develop papers for premium publications, and the opportunity to broadly disseminate findings. You won’t want to miss this engaging webinar and how it can benefit your research process and impact. Join Dr. Ella Hinson, Senior Editor with Cell Host & Microbe, and Dr. Rebecca Cooney, North American Executive Editor of The Lancet, to learn about techniques and strategies for authoring in high-impact journals. Dr. Hinson will present information on authoring with Cell Press, which includes such titles as Cell, Neuron, Chem, Immunity, Joule, and Cancer Cell. Dr. Cooney will represent publishing in the Lancet family of journals. The editors will present their experience working with researchers and authors throughout the research publishing cycle, how to develop papers for premium publications, and the opportunity to broadly disseminate findings. Join Dr. Robert Eagling, Cell Press Editor-in-Chief of Chem, and Dr. Rebecca Cooney, North American Executive Editor of The Lancet, to learn about techniques and strategies for authoring in high-impact journals. Dr. Eagling will present information on authoring with Cell Press, which includes such titles as Cell, Neuron, Chem, Immunity, Joule, and Cancer Cell. In addition, Dr. Cooney will represent publishing in The Lancet premium medical journal portfolio. The editors will present their experience working with researchers and authors throughout the research publishing cycle, how to develop papers for premium publications, and the opportunity to broadly disseminate findings. You won’t want to miss this engaging webinar and how it can benefit your research process and impact.